Here’s a favorite activity of mine from prob/stat class. I love bringing in real stories of statistical improbability from the media to get kids thinking about real-world applications of probability, and reinforce the fact that theoretical probability represents a long-term ratio. In the short term, funky stuff happens sometimes. In an earlier post, I gave some examples from the Amazing Race and the casino world. Today’s example comes from another gambling example: Powerball. First, some understanding of the game is required. 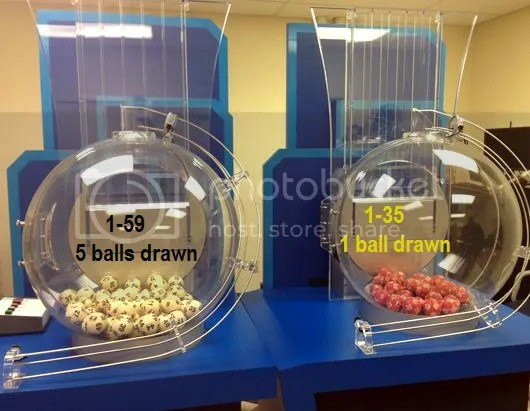 In Powerball, players attempt to guess the numbers that wil be drawn from ping-pong ball machines. Two different machines are used for the game. In the first machine, there are 59 white balls, while a second machine holds red balls numbered 1-35. Players select 5 numbers they believe will be drawn from the white-ball machine, and 1 number they believe will be drawn from the red-ball machine. If you match all 6 numbers correctly, you win the grand prize, often in the 10’s of millions of dollars. For more info on the game and how to play, the Powerball website provides lots of info, including a rather amusing FAQ area. You can also use random.org to generate some draws, play the game with your class, and hopefully show them how difficult Powerball is to win, or even get 2 numbers correct. If a player matches all 5 white balls in a Powerball drawing, but not the red ball, they win a prize of $100,000. In a given week, there are “usually” 4 or 5 such winners. On a drawing in 2005, there were 110 winners. What caused so many winners? Cheating? Luck? Pure chance? Are the winning numbers “special” in any way? In Pennsylvania’s Daily Number, for example, the state pays has paid out more than 5 times the amount wagered when the 7-7-7 combination is drawn. The second page of the article gives away the surprising twist, after students think about the situation, and make some conjectures. So what’s the twist? Spoiler space….if you want to think so more…do it now…. A company in Queens, NY produces fortune cookies for restaurants, and chooses numbers to go on the fortunes. 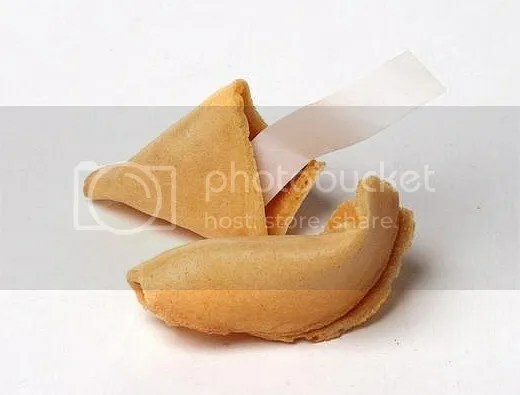 They seem to use the same numbers in a batch, and these numbers found their way into the hands of hungry Chinese-food lovers, who played the numbers. They just happened to hit! Hope you enjoy this tale of statistical improbability!